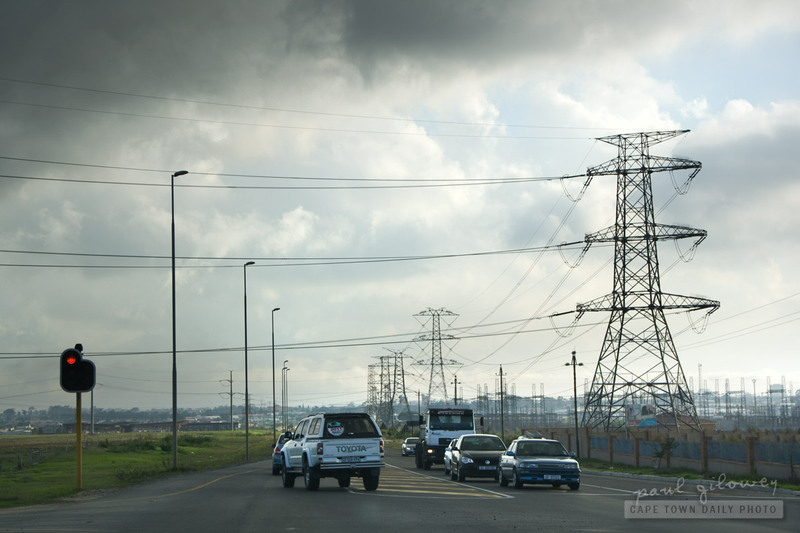 A couple of years ago South Africa was hit by a barrage of power outages, and Eskom (the national electricity provider) was forced to implement a rolling load-shedding strategy. Over weeks and months many neighbourhoods had their power cut according to predefined schedules. Seeing this picture reminded me how load-shedding seems to (at least for now) be a thing of the past. This year I recall having only a single outage lasting a couple of hours - but then, I suspect that was an unplanned outage. :) Our friends up north may not have been so lucky unfortunately. Although I haven't heard confirmed news of load-shedding in Gauteng I've heard rumblings of outages and found these load-shedding schedules on Eskom's site. Posted in General and tagged clouds, electricity, roads on Monday, 8 August, 2011 by Paul. As far as I’m aware no one in the country has been subject to load shedding in the last couple of years. At least, not by Eskom. I suspect one or two Utilities may be controlling their loads by shedding some neighbourhoods at peak times, and through that their costs. Ah, thanks Gary. I should have known that you’d have the low-down on this. I was in Gauteng at the time and there was definitely load shedding. Even in business big business parks and office buildings. I wouldn’t normally consider pylons to be things of beauty but this shot has an industrial beauty to it. Never in all my years of living in South Africa did we ever experience power outages. But that was the distant past.